Earlier this year, Food Logistics published a provocative article, “Automate or Die”. Do you have to automate? Of course not. But it brings to mind a good question: where is the point of acceptable ROI for automation projects? When does it make sense? What aspects are potential pitfalls? We’re inside warehouses, distribution centers, commercial operations, and manufacturing facilities every day. We don’t see full scale automation in all — or even most — of these operations. We’ve even seen some companies who have automated go back to picking with carts. We’ve seen others thrive due to their automated projects. The point is, you certainly won’t “die” if you don’t automate. But that doesn’t mean that you should not automate some or all aspects of your operation. In some cases, we try to make the case that automation isn’t needed. In others, we try to help these companies understand when a capital investment in automation equipment and/or software will save money, increase productivity, reduce problems, and improve their business. It’s not something that you can do from a distance. It requires a command of the facts on the ground, in the servers, and throughout the supply chain. So, the question is, why automate? We’ll be covering each in a series of blog posts. Inflexibility is one of the big knocks on automation. “We can’t change it once we’ve put it in.” Is it actually impossible to change? Is it too costly even when it is possible? That depends on the type of operation and the type of automation. By its nature, automation takes a process and attempts to standardize it. The trade off is that you get a better output of that operation, more consistency, faster throughput, and predictable outcomes in exchange for reduced flexibility. There isn’t an easy answer. Automation works best with highly stable volumes in a stable product range in terms of SKU types. It is true that the more regimented the process, the easier it is to automate. Some automation systems are inherently more flexible than others. In a case where a specific SKU or carton or pallet is being picked the same way all day, then packed the same way every day, you have a definable, easy-to-justify situation. But even when there is variability in the process, automating may still be viable for you. The flexibility of a manual operation has its own issues — labor costs, slower speeds, etc. Robots are one of the increasingly affordable, and more flexible ways to automate. 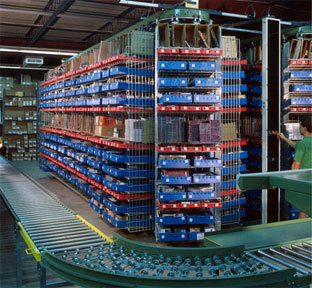 For instance, this robotic palletizing system can serve multiple lines and load types. 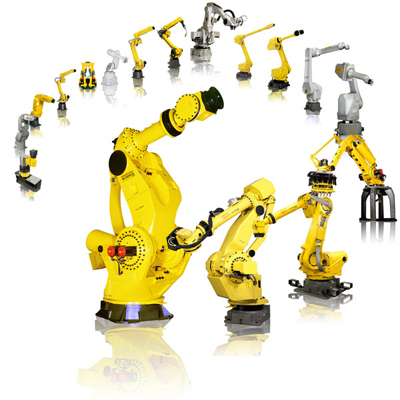 Many robots can have interchangeable end effectors/end of arm tooling that allow variable load types, sizes, and configurations. So if you have an in-feed conveyor and a robotic arm with the correct vision systems and hardware, you can service multiple load types and multiple outbound pallet types. This isn’t as flexible as five people stacking pallets, but it’s faster and far more consistent. There is power in regimentation, when correctly applied, and that’s what a robotic solution provides. It can sort through various loads and palletize them at high speed. Whether the robot is palletizing, picking, or assembling, it can automate a specific point in the line relatively easily compared to some other alternatives. Robotics are one of those automation pieces that don’t have to be part of a larger integrated system; they can be an automated piece in a manual puzzle. AS/RS is among the least flexible of automation types, but all isn’t lost when it comes to flexibility and the various types of automated storage. If your operation is in a “Fast Moving Consumer Goods” market (FMCG), the challenge is changing consumer demands and variable product mix. Once you have a unit load system in place, what’s held on pallets stored in the system isn’t as relevant as the fact that the system can contain inventory — even different inventory than it originally did. The rack aperture (the pallet storage space) is critical. If loads are too tall in a shifting market for the existing rack, then there are definite flexibility issues. You may have to cut a layer from each stored pallet, which results in reduced storage density. If the load can slide into that window, it should be a matter of slotting and data to ensure rapid, accurate retrieval. Obviously ASRS is designed for stable loads and high throughput, but it’s not as inflexible as commonly thought. Carousels have the ability to pack a small footprint with a large volume of product. They’re relatively easy to restock, and fit well into slotting schemes of just about any kind. When it comes to picking, they’re terrific for increasing throughput and speed. They can be loaded with many types of SKU’s, and even the bin sizes can change. A VLM (vertical lift module) has shelves that can be dialed in with just about any SKU that can fit into the footprint. Automation works best with high stable volumes in a stable product range (SKUs). But for carousels in an each-picking operation, it’s a matter of adding SKU’s and feeding it to WMS/WCS systems. Like robotics, carousels can exist as an independent point of automation. Sortation Conveyors divert a product from one conveyor line to another. By using controls and multiple sortation conveyors, product can be sorted by diverting the product only to the appropriate conveyor. 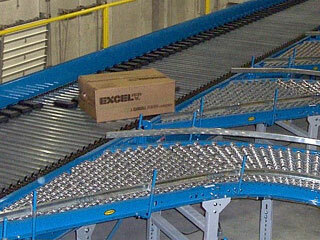 A wide range of conveyor systems integrate what is sometimes called automation, and sometimes not. But your typical sortation system with logic built in is definitely an automated process, when compared to the manual alternatives. This typically replaces people making decisions at workstations or transporting orders to the right locations with totes or order picking carts. Sortation isn’t flexible in terms of its routing; it’s expensive to re-route lines if your layout or product mix changes. Differing SKU’s can be routed through a sortation system fairly painlessly, but in terms of the physical system, conveyors aren’t easy or inexpensive to relocate. The reason they’re so broadly used is that they are still the hands-down champion in terms of transport speed and efficiency. They lower costs, and if you can do that for long enough, the flexibility can become secondary. This is a gray area, where automating a specific task (wrapping a pallet) isn’t necessarily going to reduce flexibility because the line work before or after that pallet wrapping station or void filler machine can be manual. In terms of what a packaging machine can do, typically it depends on the type. Most can handle a range of tasks within their defined scope of operation, which is a practical limit on flexibility. To go back to the example of a stretch wrapper, most have limits on the dimensions of pallet that can be wrapped. Two people with film dispensers can wrap just about any load. They may do it slower, they may waste a shocking amount of film, and they may output less stable pallets, but they can wrap those odd shaped loads. They’re more flexible, but like all manual solutions, there is a price to pay for that flexibility.